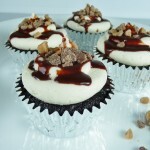 If I had to pick a favorite cupcake (but please don’t make me! ), these would be a front runner. I don’t know why it’s taken me so long to blog about this recipe because it’s one of the first recipes that I made when I really started to become obsessed enthusiastic about baking cupcakes. 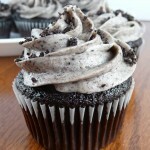 I even blogged about a version I made with mint oreos before the original =). The mint was delicious too and would certainly be fitting since it’s close to the holidays, but how many times has the sequel to anything been better than the original?? I crush my oreos in a food processor, but if you don’t have a food processor you could certainly use a ziploc bag and rolling pin or meat mallet. I wouldn’t try to pipe the frosting though if you don’t have a food processor because you need to have very small crumbs, otherwise they’ll clog up your icing tip. I find that a large round tip works the best. This recipe will make around 3 dozen cupcakes (depending on how full you fill the liners), so occasionally I’ll half the recipe but I find that friends/family/neighbors are always willing to help keep any extras from going to waste ;). Enjoy! 2. Mix in egg yolks. 3. Mix in vanilla and chocolate. 4. In a separate bowl, mix the flour, baking soda, and baking powder. 5. Alternate adding the flour mixture and milk to the butter/sugar mixture. 7. In a separate bowl, whip egg whites until stiff peaks form. 8. Fold the egg whites into the batter. 9. Fill the cupcake liners using a 3 tbsp scoop. 10. Bake for 18-20 minutes at 350 degrees or until a toothpick comes out clean. 1. Beat cream cheese and butter until light and fluffy. 2. Mix in powdered sugar one cup at a time until you reach your desired consistency. Wesley LOVES anything Oreo. His birthday&#39;s in March. I may have to try my hand at these for the birthday boy! Usually I just fall back on yellow cake with chocolate frosting. How does Jordan like his birthday cake? And what do you like having on your birthday? 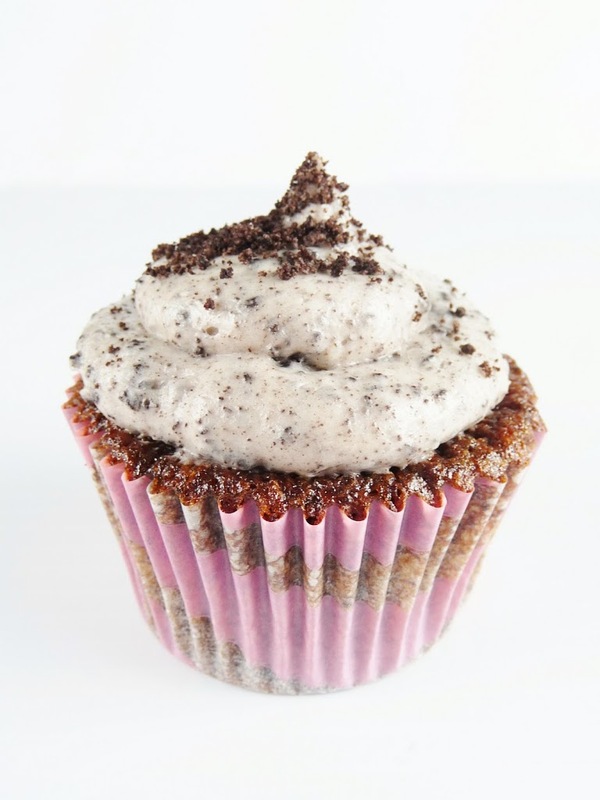 These would be perfect birthday cupcakes..especially if you love oreos! I haven&#39;t met anyone who doesn&#39;t like them. Usually Jordan likes lemon cake for his birthday but last year he requested baklava instead of cake. I&#39;m kind of a brownie girl myself! So I guess it&#39;s really more like birthday desserts rather than cake for us =).